Thank you SO much to the listeners of Aural Fixation! I'm so grateful to have received two nominations this year! 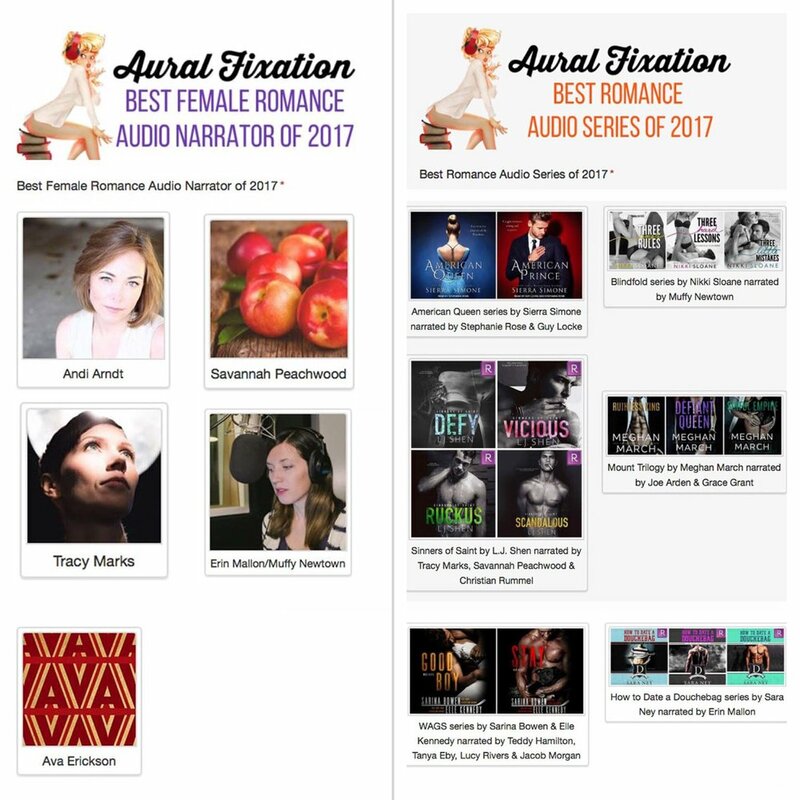 I am in amazing company as one of five nominees for Best Female Romance Narrator, and the Sinners of Saint series by LJ Shen is nominated for Best Romance Audiobook Series!